"Life should be lived with the things you love". 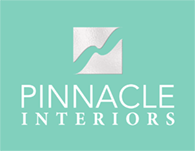 Pinnacle Interiors is your design source for creating an elegant home environment that reflects your Florida lifestyle. Karen Bruner, design principal, invites you to indulge your senses throughout our website showcasing interior design for our discerning clients throughout South Florida and beyond. Karen is available for consultation to discuss design possibilities for your next new construction or renovation project.